Richard Greene's first collection since winning the 2010 Governor-General's Award for Poetry, take as their subject the rumors, misunderstandings and half-truths that often comprise our knowledge of others. With an astonishing gift for capturing states of feeling, Greene's new poems movingly reflect on the "presence and absence, glory and disarray" of our flawed life, moving from his mother's oil paintings to harrowing conditions at a corrections facility to recollections of a much-loved mentor. The capstone of the book is the magnificent title poem. 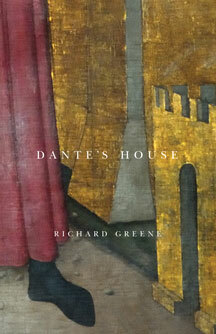 Written in fluent, colloquial terza rima and set in sun-drenched Siena during the frenzied pageantry of Il Palio-the Italian city's bi-annual horse race-it is a brilliant, beautifully realized achievement that consolidates Greene's reputation as an emerging master of narrative verse. Richard Greene teaches Creative Writing and British Literature at the University of Toronto. His most recent biography Edith Sitwell: Avant-garde Poet, English Genius  was widely acclaimed, and he has published three collections of poetry, including Boxing the Compass , which won the Governer General's Award for Poetry. He lives in Cobourg, Ontario. 68 pp 8.5" x 5.5"